New technology is introduced into our ever-changing world every day. Some is embraced, some not so much. When installed, programmed and used properly, some gadgets can save a tremendous amount of time, money and energy (yours and the electric company’s). Soundworks, Inc. specializes in helping New York residents control their worlds. Following is a list of five of the hottest gadgets and systems requested by clients today. Control your entire home from far away or just control the volume on your stereo – home system management tools are flexible, affordable and simplified so anyone can use them. 1. Tablets to control every system in their homes. Tablets have taken home systems management to a whole new level. Savant Smart Home Technology and Control offers complete home automation from anywhere you happen to be. Apple®-based technology makes it simple to automate home systems using the iPad, other popular tablets and mobile devices. It’s being installed in a wide variety of settings including homes, offices, high rise apartments and even multi-dwelling residential units. Imagine being able to integrate all the systems in a home with and have full control literally at your fingertips. Many New Yorkers already have. In fact, they’re using Savant right now to control whole house audio; maintain climate; integrate home communications; manage intelligent lighting; keep safety and security systems in check and save energy. 2. Flat screen televisions are keeping New Yorkers connected. Flat screen TVs obviously aren’t new; however, they’re becoming much more accessible and incredibly intelligent. Televisions are no longer simply used for display. More and more Westchester County residents are requesting televisions that are connected to the Internet for web browsing, Netflix, Hulu etc. The television is playing a much broader role in home entertainment systems in New York. It really does seem to be a movement. Make no mistake; while much of the technology we have today can be controlled through mobile devices, many people enjoy a good old-fashioned remote for its tactile qualities and simplicity. Universal remotes that control multiple systems are also in high demand. 3. 4K technology rising over the horizon. Speaking of home entertainment, industry leaders are eager to help its audience see more and see it better on their home screens. Although there is very little 4K content, there seems to be a growing local demand for 4K hardware (think, high-def on steroids). This latest HDTV technology is officially known as Ultra HD and the screen resolution is mind-numbing. Some manufacturers are calling it “the last resolution you’ll ever need.” Those who love to own the latest and greatest in technology will be ready to roll when the content comes through. 4K/UHD will eventually replace 1080i/p (1,920×1,080 pixels), which is currently the highest-resolution signal available. We’re talking about movies and maybe television here. The term “4K” refers to a resolution of about 4,000 pixels wide and about 2,000 pixels high. Lay four 1080p screens across the floor. Now stack four more 1080p screens on top of those – that’s pretty close to what you can expect from Ultra HD (yes, it’s quadruple the highest standard resolution we use today). Many newer television manufacturers are preparing now for the day more 4K content finds its way into our homes. Cable companies aren’t there yet, capital expenditures are tremendous to make this kind of switch, but it’s coming. 4. Nest Thermostats protecting nests throughout New York. Soundworks is seeing an impressive demand for the new Nest Thermostat. New York residents can save up to 20 percent of their heating and cooling bills with the Nest Thermostat (and many already are). Have you ever heated or cooled your home to the perfect temperature and then left without turning the heat up or the air conditioning down? It takes a lot of energy to heat and cool empty spaces when no one is home to enjoy it. The Nest Learning Thermostat actually learns your schedule. It programs itself. Best of all, it can be controlled from your smartphone or another mobile device. Getting ready to head home on a cold winter’s night? Turn up the heat in your home while you’re still at the office. 5. Automated lighting turns homeowners on. Imagine walking into the house and having lighting rise just in time to illuminate the critical areas of your home. Consider sitting in your car and using a wireless visor-mounted lighting control center (about the size of your garage door opener) to set the lighting before you walk in. This automated system saves energy, increases safety and will even make your lightbulbs last longer. Whether you want to set a mood or just see to get the key in your door, automated lighting can be programmed to your specifications and changed when your needs change. Soundworks Inc. is a smart home automation company based in Westchester, New York. Contact them to find out how to control your world with the latest in technology. We at The DAE are always looking for innovative ways to use technology! Today’s guest blog is brought to you by Paul Herman of Herman & Company CPA’s, P.C., a full-service accounting firm in White Plains. It’s no secret: Taking control of your personal finances and managing your money is the key to a long life of financial success. It’s also no secret that sometimes we don’t even have enough time to eat breakfast, let alone face the daunting task of looking at our “financial snapshot” on a regular basis. Luckily, technology has once again proven itself to making our lives just a little bit easier with these handy mobile apps that can help you become a personal finance wizard in just a matter of minutes. Mint.com. Named “Best Finance App” by the 1st Annual App Awards and TIME Magazine’s “50 Best iPhone Apps of 2011,” it’s safe to say this app is a must-have on your smartphone. Mint gives you a clear breakdown of exactly where your finances are going each month by category, allows you to set budgets, alerts you when you exceed your budget and shows you how much money you have at any given time. While discovering you have a $100-a-month iced coffee habit is not pleasant, stashing that money into a vacation savings fund sure is. Check. An app that alerts you when a bill is due? We’ll take it! Check monitors your bank accounts, credit cards and bills, and sends you alerts when your funds are low or you have a payment coming up. Never having to worry about overdraft fees or overdue bills again makes this app a winner! Expensify. This app keeps track of all your expenses, letting nothing slip through the cracks. From your bank accounts to car mileage to receipts to travel details, Expensify is your one-stop shop for keeping a detailed account of everything having to do with your money. And, as an added bonus, you don’t even need to be online to use it. DailyCost. Even more detailed than Mint, DailyCost keeps track of your purchases in specific categories such as “Coffee,” “Snacks” and “Breakfast.” In addition, it also has a graph feature that shows you an analysis of your weekly and monthly spending. Every little expense adds up, and DailyCost is your tool to showing you by exactly how much. While we all wish we had more hours in the day to accomplish our daily tasks, these money-management apps might just be the next best thing. Keeping track of your finances while on the go means less stress, more time and (we hope) eventually more money in your pocket. 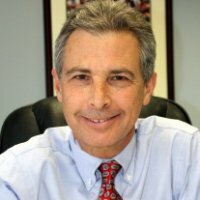 Paul Herman is the founder and owner of Herman & Company CPA’s, P.C., a full-service accounting firm located in White Plains. Herman & Company is dedicated to providing clients with a wide range of professional, personalized tax and financial services including tax planning and preparation, accounting services, financial services, financial retirement and planning services, estate planning and bookkeeping services. Contact Herman & Company CPA’s for a complimentary personal finance consultation. The DAE offers creative business solutions customized for each individual business’s needs to optimize the integration of technology into their companies, so, for today’s blog post, we reached out to Berlin Productions upon seeing that Berlin won a 914INC’s 2013 Excellence in Small Business Award for their philanthropic work. Berlin Productions is a full-service marketing and promotions agency in White Plains. Steven Klapow, Vice President of Creative & Communications Services at Berlin, shared with us his insight on branding and how to make sure your business’s brand identity stays consistent. As a branding and promotions agency, we see it all too often: the company that develops a logo and tagline, then considers its branding work done. Maintaining the integrity of your brand, product, or service is a job in itself. All of your communication should be properly branded, professional, clear, and especially, consistent — ALWAYS. One way to check your brand’s integrity is the “wall test.” Gather a screen shot of your home page, along with your print ads, promotions, brochures, business cards, letterhead, screen shots of any landing pages (if you’ve done search engine marketing, or SEM), and screen shots of your Facebook and Twitter accounts. Tape all of those items to a wall and review them as a whole. All of the items are different marketing elements that might have been created at different times; however, they still represent your brand, so they should look and “feel” similar. If they don’t, ask yourself some questions: Are different people working on the various components? Do you work with various marketing partners or agencies that don’t understand the value of brand integrity? Or does your brand not have a clear positioning strategy? If your answer to one or more of these questions is “yes,” then you’ve begun to identify the problem. When Berlin helps a client establish or re-establish its brand, it’s refreshing and rewarding to visit its headquarters later and see our approach and philosophy put into action. It starts with the sign outside their door and the logo displayed in the reception area, then it spreads outward through company letterhead, email signatures, social media promotions and beyond. This is how brand integrity helps to grow sales!